Do you want to adorn your place with something fresh and distinctive? or do you want to decorate your place with new-look pieces of furniture? 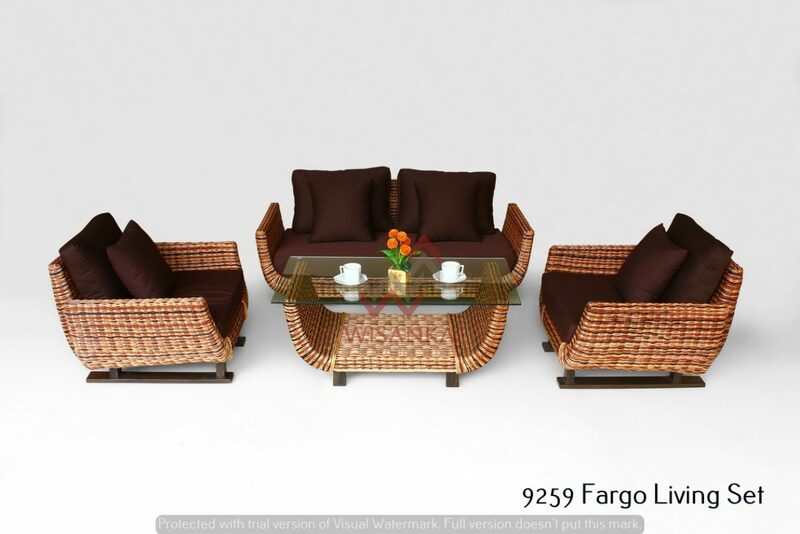 If so, then rattan three color furniture is the best option that is worth for you to try. It’s the new line product in rattan furniture industry nowdays. Instead of using one color for the whole furniture, this product use three different color for the weaving. The three colors for this product is inspired by the nature, since natural color would never be outdated and always have a huge fans worldwide. The grayish sand dunes, soft brown of dried foliage, the dark brown from the old tree bark, or solid black of jutted rocks, would be the harmoniuos combination color for your furnitures. You can put rattan three color furniture everywhere you wish, such as for terrace set, living set, dining set, bed set, wardrobe, laundry box, wall decor, etc. Rattan three color is made from pitrit or the inner part of rattan. Before it is weaved on the frame, the material is dyed until it comes out the desired color. After all material have been coloured, the next stage is weave it on the frame. The furniture from this material is very pliable, so it can be formed into various shapes and designs. The last step is finishing and final touch to soften the entire surface of furniture. And furniture is ready to bring the pieces of nature into your home. Enjoy!